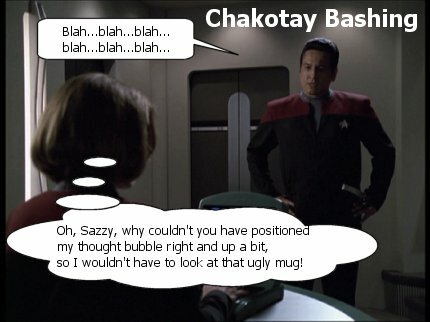 Just a few silly captions that I've come up with over on the JanewaySeven.com forums. All pictures are copyright of Paramount etc etc. This is just a bit of fun. Click on the big pics below to see more!